UPDATE: Murray’s blogs and the forum were hacked and the forum is still not working. I am still working to find someone who knows SMF and can restore the database. If you have that ability or know someone who does please send them our way. Thank you. If you knew established bloggers were willing to promote your blog and freely share what they know and it would not cost you a single dime would you be interested? I am one of 127 151 163 bloggers who belong to what Murray Newlands named The Secret Blog Club. Now is the time for us to invite in as many serious bloggers as possible to greatly increase our reach. Join NOW because I will be sending out one simple, easy to understand and implement but very powerful strategy to act on each week. This is the first week and your first task is to invite other bloggers you admire. Send them this link that explains the benefits of our private blog collaboration. To join us simply leave a comment using the email address you will use to join in that post or this one and I will personally send you the link to join and approve your membership request. NOTE: You do NOT have to include your email address in your comment – I will get it from my WordPress dashboard. Yes thanks for the motivation, and I aspire to one day being as big, and successful as you. Though I am relatively new to the world of blogging, have established a separate website and blog – all camping related. I would be interested in hearing more about increasing traffic to the sites. Intriguing idea. I’d love to join. Do you have subgroups? eg. a group focused on midlife??? or is it all connected. Secret Blog Club lol, remind me of the secret lemonard drinkers club. Sign me up ! I’m not a blogger (so I don’t want to join), but I just wanted to say this is a good program you’re starting. Keep it going! Nazmus would love you to read ..What are Stock Dividends? See the update at the top of this post. And sorry for the late reply, don’t know why but I just received the update email today. We all need a site first before we can join and become an inspiring blogger as you are. Seems that would take a while but, Thanks for the motivation! I am a new blogger. Highly interested in networking with other fellow bloggers. I just started a blog about my personal journey as a caregiver to my husband who is a patient @ canter treatment center of america and I would love to blog with others who are interested in health. I’d love to learn more. Please let me know when the forum is working again! Hi my name is Ryan and I run a blog all about Scotland, it’s been online a year and I post at least 20 times per month. I’d love to be a part of things. As soon as we’re up and running again I’ll email you. The forum is still down but when it works again I’ll contact you. I’ve been burning the candle for new client work. As soon as I get some sleep I’ll find a way to get our collaboration going again. Hi, I’m the owner of a travel photography blog. If this is a target audience I would really like to join. The forum is still down, but I will notify everyone who has expressed an interest or been a member via email and Twitter when it either gets fixed or we find a replacement for it. In the meantime, you may want to connect with Stephanie because she has a photography blog and knows much about collaborating with other bloggers and using Social Media. I would like to join this club please send me an invite. I’ve been part of a few other blogging clubs before so I know the basics. Please invite me so I can get more traffic, and make money online. The forum has been down for an extended time. I still hope to get it back online and as soon as I do – or get it replaced – I will notify you via email and Twitter. I would definitely be interested in participating if you are still considering applications. Please let me know and thanks! Sadly, the forum is still not working and I really miss it. You have reminded me to follow up now that Affiliate Summit is over and see if Deborah Carney or anyone else I know can get it working again. When it is or when I realize it is not going to be resurrected and start a replacement rest assured I will contact you via the email address in your comment and on Twitter to let you know. I’m interested in joining in. Please let me know if it’s ok. Unfortunately the SBC forum is still down. If I can get anyone to fix it I will email you and let you know via Twitter. Hello, I just came across your site from tek3d.org, is it too late for an invitation? The site where the forum was got hacked, they moved to another hosting company and it hasn’t worked since. I am still trying to get it working again. Deborah Carney who has experience with that specific forum software is willing to look at it but won’t be available until Affiliate Summit is over. I guess I didn’t qualify…asked to sign up 2-3 weeks ago and haven.t heard anything since. It isn’t that. When Murray’s blog got hacked I lost access to the forum and it is still down. I had hoped that it would be up by now and I would be sending out invitations and updates. As soon as I know anything I will get back with you and anyone else who is interested. The two most interesting posts on my blog were both submitted by a GrowMap author, so I had to come check it out. Love the concept of learning more about blogging from experienced bloggers. My apologies for not replying to your comment. Blogs getting hacked right and left (this one only once thankfully) and forum still down. I’ll notify everyone via email and Twitter when that gets resolved. Wow – what an idea. I love ideas, especially practical ones. I came here after guest posting on Website in a Weekend. I think you got me trapped. This is an interesting idea. Sign me up so I can hear more about it. Everyone above this comment should have received an invitation via email. If you did not please use the information on the contact tab to let me know or leave another comment in this post. Everyone above this comment should have received an email with the link to join. If you did not receive it contact me through one of the methods listed on the contact tab on this blog. Everyone above this comment should have received an email with the link to join. Do let me know if you didn’t. Thanks for stopping by my blog. I would love to be a part of this great group! Hey Gail, just read about this on one of your comments on my blog and I’d say, beam me up 😉 Thanks! If it isn’t too late, please consider me for this project. If new applications are still accepted, I would like to join. Thanks. Hey Gail do count me in :).Thanks. Thanks for letting me know about this. Count me in! Everyone above this comment should have received an email with a link to join. If you did not please click on the contact tab in this blog and reach out to me. We don’t want to leave anyone who is interested out. Hey Gail, sign me up! You have piqued my curiosity. I’m interested in joining. Feel free to send me any information. Thanks for your invitation on Twitter and for your congratulations on my Entrepreneur of the Year Award nomination. I’m interested to know more about your project here. I emailed information on our collaboration and look forward to working with you. Pop into the Where to Connect on Social Netwrks section and check out the short bios and links in the LinkedIn section to get a good idea of what kind of experienced bloggers are members. 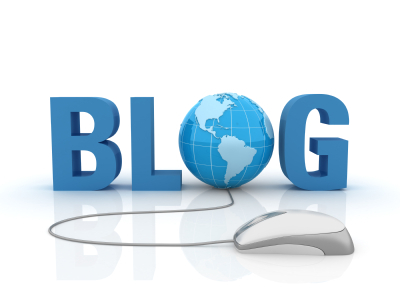 I have learned from your blog today that auto posting may not be a good way at blogging. For instance , when I submitted earlier, it linked to a video automatically pulled from utube. I would not have linked to that video. When I tried a second time, I was linked to another video that I would not have linked to. So I have learned that I need to change the way that I blog. Hoping to learn more from you. One of the major reasons I recommend bloggers collaborate is so we can share what we have learned. Instead of each blogger having to test, tweak and find out that something like auto-blogging a certain way is a bad idea we help each other out. Many of the strategies we each share in our blogs may have been in use for months or even years before we publish them. Collaborators can ask for tips long before they’re ready to roll out and get instant answers. My recent post on using TwitterFeed is a good example. There are several other posts I need to do on how best to use Twitter especially if you have a blog or business or multiple blogs or businesses. Eventually they get written up but why wait when you can know right away what is working best? I’m glad you have joined. I hope you will approve comments from other bloggers and commentators like Better Woman Now , Better Man Now, Hive Health Media and Jarret Morrow. I have my blog setup to pull videos from utube and did not know about the milkman video that got published this morning. After listening to it, I realize it may not be something you would want to link to. I have deleted it. Still would be interested in joining. I’d love to hear more! Thanks!! Everyone who has commented here should have received an email with the link to join. If you did not receive it contact me and I will resend it. Everyone who commented above this comment was sent the invitation via email last night (or possibly early this a.m. after midnight CST). Yes, I sent them to the email address in your comment. I just DMed the join link to you on Twitter. I did. I thought you were already in. Good to have you. I’m interested in getting involved. I always love learning from other bloggers and sharing ideas. Thanks! Everyone above this comment should have already received an email asking them to join. If you don’t receive it do contact me using the contact tab or by sending an @GrowMap Tweet. Please count me in, I am new to blogging and could use some help. Thanks to Imran Yousaf who let me know the group. I’m interested and please count me in! Please Count me in for the collaboration! I liked your idea of inviting others too in The Secret Blog Club.I am interested send me a invitation.Is there any entry criteria ? I have found that people select themselves by their actions. Those who get involved benefit and those who don’t may learn a few things but they will never be very successful because it takes collaboration to succeed. Count me in, my email is contactme@dragonblogger.com and I would be very much interested. I’m surprised as often as we cross paths that I had not extended an invitation to you before. I look forward to having you involved. Thanks for joining. I would like to join it, but before joining I want to know some more information. I guess, you have good knowledge about bloggers. Thanks for sharing. I sent you the email with a link to join but it also contains the link to a post on Murray Newlands also referenced in this post that explains how we use the collaboration. Gail, I’m already a member and have been getting the e-mails. I just launched a new flagship blog and am now ready to focus on networking. I’m headed over to the Secret Blog Club now. I am also a member and have learned some things that I can apply instantly. Thanks again Gail for inviting me. I am member of this and it has helped tramendously!! Thanks Gail for inviting to this great little forum!! Sounds interesting. Is this the same as, or part of Secret Blog Club? It IS the Secret Blog Club. I commented on Murrays’ blog but I figured I would post here just in case. This sounds like an awesome opportunity and a wonderful idea. I would love to get on board! Hi, this looks like it’s worth a shot. My new blog is about ideas for new businesses that I’ve had recently. I sent an invitation via email to you and everyone else who has answered so far. You may want to avoid sharing your email address online in that way because spammers scrape and target visible email addresses. That is why many bloggers use contact forms or at least try to keep their email from being scraped by using a different format (although I suspect that scrapers have long been able to find email at domain dot com). Check out my post on KeywordLuv as it explains how you can build backlinks to your blog whenever you comment here or in any of our other blogs. I am new to blogging and would love to be involved as I have more blogs to write! I have already learnt a lot from reading Ari Herzog’s (and others) Blog and want to get more ideas from other people. We have bloggers both experienced and new as members. Having mentors can make all the difference. Here is just one success story of a new blogger who has a passion for learning from many of our members: Most Improved Blogger. I am intrigued by this and would love to take a closer look! I just sent you an invitation and will approve you in as soon as I see your application. I knew your name sounded familiar. You’re the Tricia from Sunshine Rewards about whom my friend and ethical Affiliate Manager Adam Riemer speaks so highly. I see you’re in the voting for Affiliate Summit West. I just popped over, voted and left a comment supporting your proposal and encourage any of my readers who are thinking about attending Affiliate Summit West to read your tips about booking hotels early and to try to win your Free Affiliate Summit Gold Pass. I’m sure you’ll love what we’re doing in SBC. It isn’t an aggregator. What we do there is explained in this Secret Blog Club private Blog Collaboration post. You’re in. Good to have you aboard.